As a Saudi national, I can testify to the excitement surrounding the way in which many people are now thinking about the future of the kingdom, its place in the world and the speed of that transformation. With our plans to diversify the economy by investing ambitiously in tourism, visitors from other countries will soon be able to discover the country’s cultural heritage and fascinating ancient past. 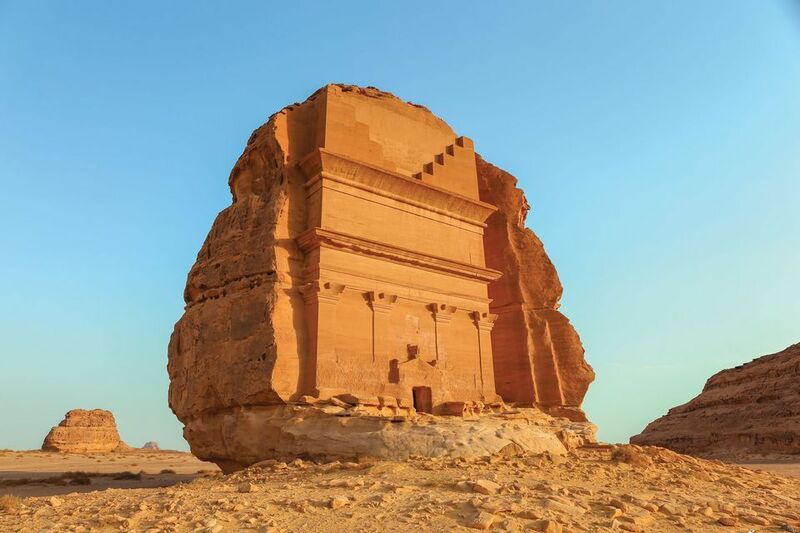 Saudi Arabia has dramatic desert landscapes, spectacular rock formations and some of the Middle East’s most important ancient sites, including those built by the Lihyanite and Nabataean civilisations of the first millennium BCE and later. We are committed to best practice in heritage and environmental conservation, but we cannot do this on our own — international partnerships are as vital to cultural success as they are to geopolitical success. In April, Saudi Arabia and France entered a cultural partnership, and in the exchange of academic and archaeological information, we will develop a sustainable tourism and cultural sector. A place like Al-Ula, the most important cultural heritage site in the north-west of the kingdom, will benefit from international standards in heritage preservation and planning. A formal collaboration between the Royal Commission for Al-Ula and Campus France, the leading international academic and vocational public institution in France, will equip Al-Ula’s students with the skills to manage the region sustainably in its preparations for global tourism. But Al-Ula is open to working with other countries as well. Institutions and businesses are invited to take part in the kingdom’s transformation by playing a role in the education and professional training of young Saudis, supporting the country’s economic transformation plan, Vision 2030. Al-Ula was once a crossroads between cultures, where incense and spices were traded so abundantly that the Nabataeans raised their southern capital there (the northern capital is Petra). Today, Al-Ula is trading in ideas and experience. Our Saudi team is working with leaders from around the world, from museum directors to master-planners, and from art advisers to archaeologists. Al-Ula’s Unesco World Heritage Site, Mada’in Salih, is undergoing a detailed survey before it reopens to visitors. The wider region is being mapped using aerial LiDAR laser scanning and high- resolution photography. The LiDAR can “see” sites hidden among palm groves and a helicopter team records the areas that are harder to reach. A successful destination is not just about its museums; it is about investing in the vocational training of its young citizens, pioneering sustainable technologies and infrastructure, and working with an active community spirit. Above all, I believe that it is about authenticity, and for that, Saudi Arabia must keep digging to unlock its treasures.